The military press is one of the best upper body exercises. Pair this with the pull up and you have a great push/pull combo for strength and building muscle. Sadly the military press is an exercise you see less and less in today’s training. It should however be a staple exercise in most peoples programs. If you want to become stronger and pack some muscle on your shoulders then the military press is a must do exercise. As well it’s great to add in to improve your bench pressing. Doing a combination of vertical pushing (military press) and horizontal pressing (bench press) is a great way to maximize strength, reduce shoulder injuries and build muscle in your chest and shoulders. 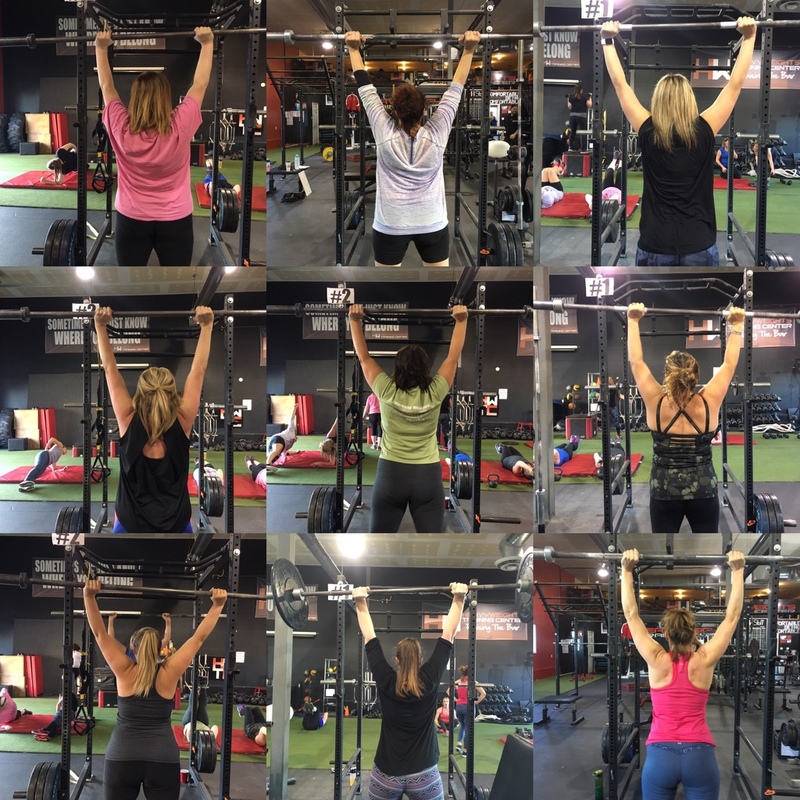 When I train my female clients I have a big focus on overhead pressing and military press. 1. Be Sure To Pay Attention To Your Feet. Strength starts with your feet so be sure to spiral into the floor and grip the floor as tight as possible. “Rooting” is very important for strength. I also prefer to military press in bare feet or flat shoes when possible. Squat shoes are ok, but I prefer no shoes or flats. Learning to get tight or to create tension is critical for strength and this carries over to the military press. Learn to turn your body into stone and create as much full body tension as possible. 3. Focus On Glutes And Core. The center of your body is important for strength. The harder you can brace your core and squeeze your glutes the stronger you will be. Also this will reduce any chance of back injury which is common for over head pressing. 4. Grip The Bar As Tight As Possible. A strong grip carries over into everything and the tighter you grip the bar on a military press the stronger you will be immediately. Or should I say hold your breath. Learn to get your air, then brace and get tight. A simple rule, if the bar is moving you aren’t breathing. Get your air at the bottom or top of the rep. Also learn how to “Sip Breath” or “Breath Through A Straw” to minimize rib flare and keep your core locked in a 360% brace. Bonus Tip : Putting weight over head is very good for fat loss. Pressing does the body good so grab a bar, get tight, get strong and lift some Heavy Weights.